It’s been almost two weeks since the IF: Gathering 2015 took place. I’ve been swirling for what to say in this space and hope to do some justice to the work God has been doing in my head and heart since. 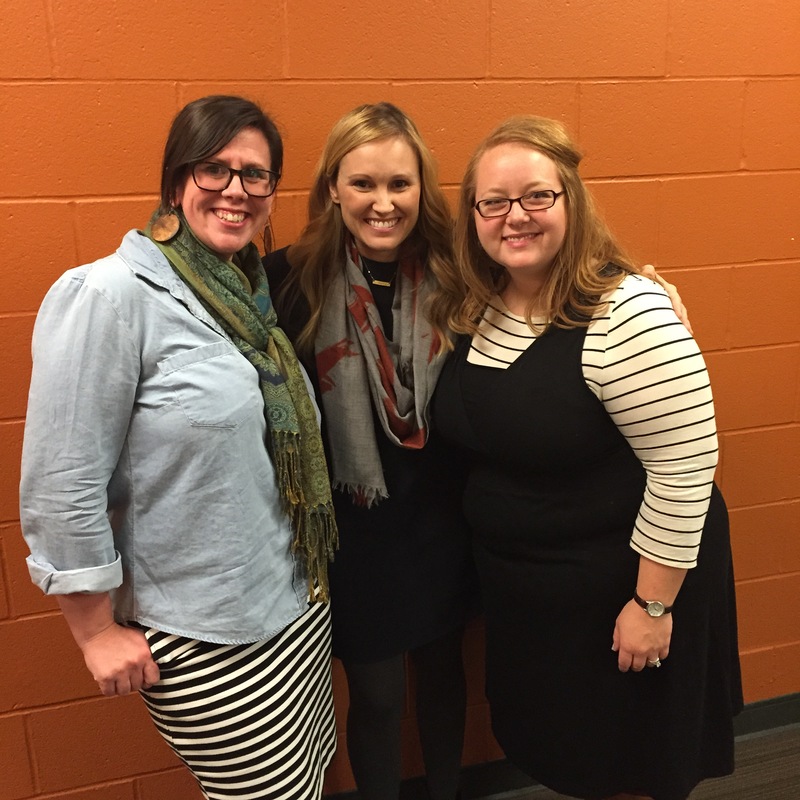 My gal Shannon and I weren’t sure what our IF: Local event in Georgetown, KY would look like. 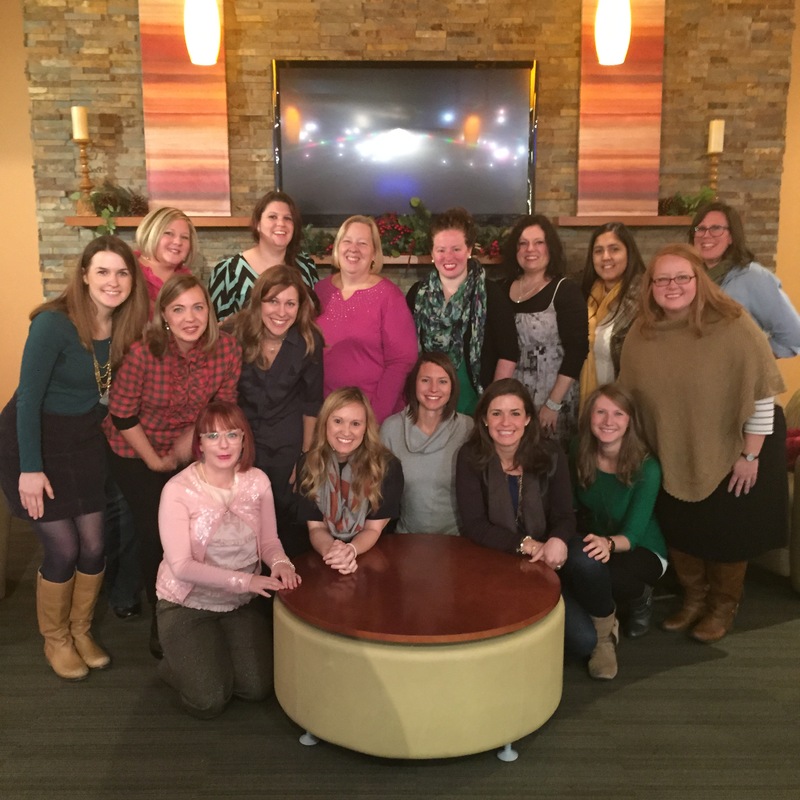 Our group of women from our church who journeyed through Jennie Allen’s Restless study were still Restless at the close of the study. Folks seemed too busy and intimadated to open up their homes to their neighbors, co-workers and friends for a local gathering in their own place. The “Her Knight” event was taking place that same weekend which meant a lot of folks would be preoccupied getting their daughters dolled up for a date with dad right smack dab in the middle of the event. 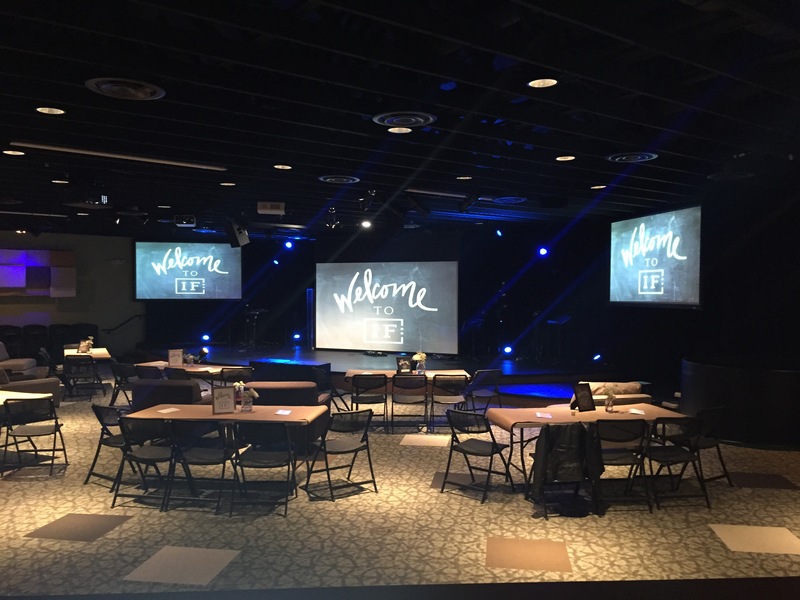 I was doubting that we’d made the right call back in September when I quickly decided that we needed to have our own event in our community rather than partner up with IF: Lexington. Even though it was a mere 30 minute drive–the point was to have a conversation with women in your own community–THIS was our community. So why did we feel so Restless ourselves in our planning efforts? We were still asking this question when we decided in early December to drive to Cincinnati to meet up with other IF: Local leaders and hear from Jennie Allen. Our planning seemed in vain. We couldn’t settle on what to do. It was in that meeting of introducing ourselves and hearing what other folks had done previously or were planning to do that the answer came. We were sitting right next to sweet Robin from Cincinnati who said last year, they simply opened the doors of their church and invited folks to come and go as their schedules allowed. Shannon and I began to work on creating this environment. We invited folks in our own church community and beyond. I shared on social media the beautiful graphics the folks at IF provided. I sent emails to and had conversations with friends whom I felt God was tugging for me to invite. 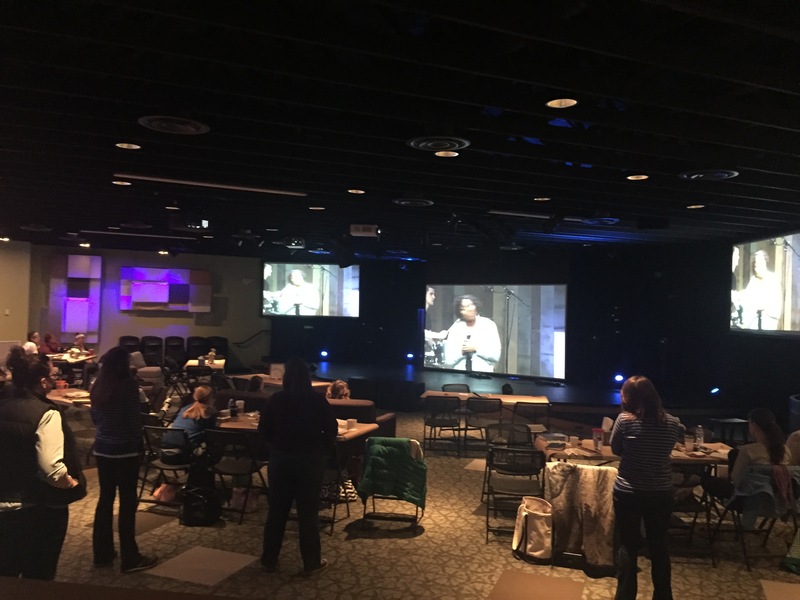 We had an incredibly supportive church staff and community that showed up–from printing programs, allowing for space in the service to announce, men showing up to move chairs and make coffee–they showed up. We created a community on Facebook of registered folks to get to know one another prior to the gathering and share about the speakers and IF leaders as many were unfamiliar all-together with IF. We set up a soup potluck for Friday night so folks who had to work or wouldn’t have time to feed themselves as well as their families could eat (another idea from Robin). 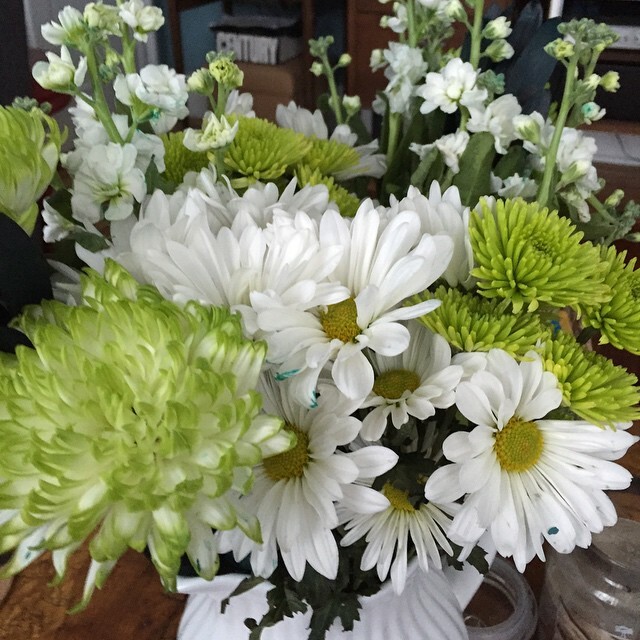 I have a supportive spouse who cheered me on and bought me beautiful flowers that reminded him of all the IF graphics he’d been seeing. Thursday night we decorated and tested the live-stream. Friday I left work early, Shannon’s husband made it home early and we met at the church to finish our prep. It’s come and go so we have no idea how many will come. Around 50 had registered. We were starting at 6pm on the dot. At 5:30, not a soul was there to share a meal. Shannon and I stepped into the parking lot to clear our heads and pray. We closed our eyes and spoke out-loud prayers of faith–pushing away the doubt that had entered in months before and for me were still present. We believed that God was up to something and had invited us not to be spectators but participants. We opened our eyes to see cars rolling in. My co-worker whom I had invited. Women from our church community. A mentor of mine who showed up with her teenage daughters. More crock-pots of soup and bread and veggies than our tables could handle. There were barely any seats remaining. We had a few glitches with the Livestream as Austin ended and we had to readjust our feed. It took some time to warm up to worship not being live, but we got there. I stalked the IF: Local tumblr page where the time-stamp lived like a hawk. Conversation breaks were rich and loud. This was our call to believe. I was encouraged when we closed the night at the end of the first session to hear Shauna speak about their meal break and Susie speak so passionately about IF: Table which is right near this hospitality gal’s heart. We left after 9 that night hopeful that folks would return but knowing that Saturday was a such busy day for so many folks, I have to admit that doubt crept back in. I just wasn’t sure how many would make it back. That night, I stayed at Shannon’s and her girls let me have their room as they slept on an air-mattress in the next room. Saturday morning I cuddled up watching cartoons next to her middle daughter (I’d slept in the eldest’s bed, so I knew that EJ deserved some extra attention–I might be an only child, but I do know a thing or two). We scarfed down eggs, threw on some mascara and ran through Starbucks to arrive only 30 minutes or so before the gathering was to begin. We had barely gotten the technology up and in walked a couple men from our church to assist with coffee and whatever else we needed. A box of donuts from a favored donut shop arrived. Fruit.Trail Mix. More boxes of Kashi granola bars that I’d ever seen (Thank you Kroger for putting them on sale!). And bearing all these treats? Women. Women who said they’d be there the entire weekend. Women who said they’d only be there Friday night. Women who had JUST registered on Thursday. My doubting was in vain. Why don’t we believe? Saturday was beautiful. Women came and went. I saw more and more faces of women who said they would only be there Friday and stayed for most of or in some cases the entire day. They left to do little girls hair and were back ASAP. They went home for a bit and ended up watching the Livestream while and home and came back sooner than expected. They jetted off to a little league game and came rushing back. We sang loudly even when there was another glitch with the Livestream. They heard some of their favorite speakers and soaked up truth from women new to them. 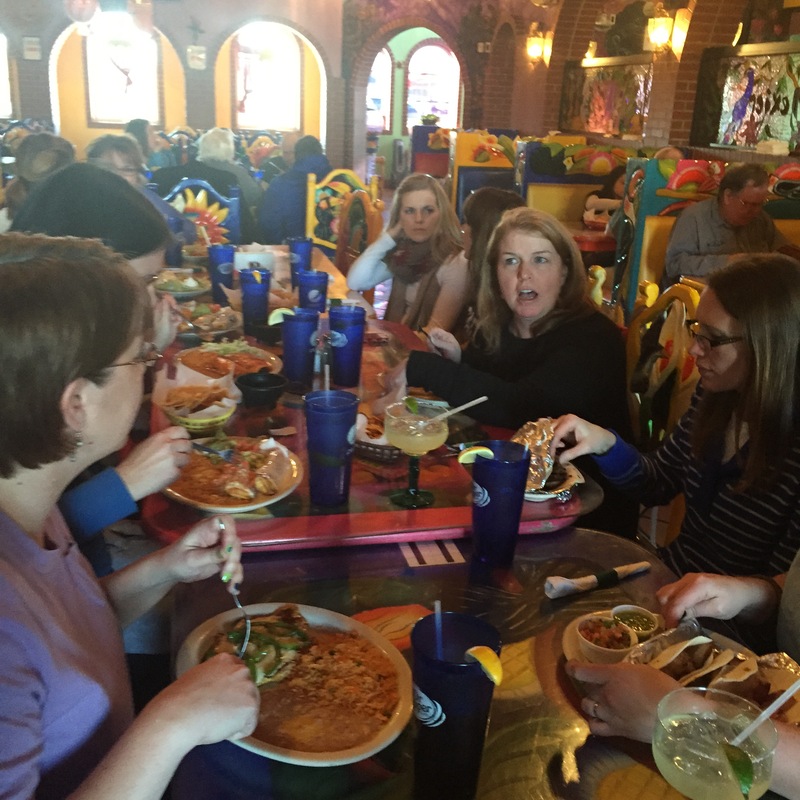 For our dinner break, around 15 of us gathered around the table at a local Mexican restaurant and had great conversation. It was an IF: Table. There were no cards present but we talked about the topics that had stirred our hearts. Racial Reconciliation. Why it can be so hard to connect with other women. Breaking down generational walls regarding these topics. What are our thoughts about the uproar regarding yoga pants these days. How do we model our faith to our own daughters? How to we be a light in our workplace that can be quite dark? What is next? How do we believe? 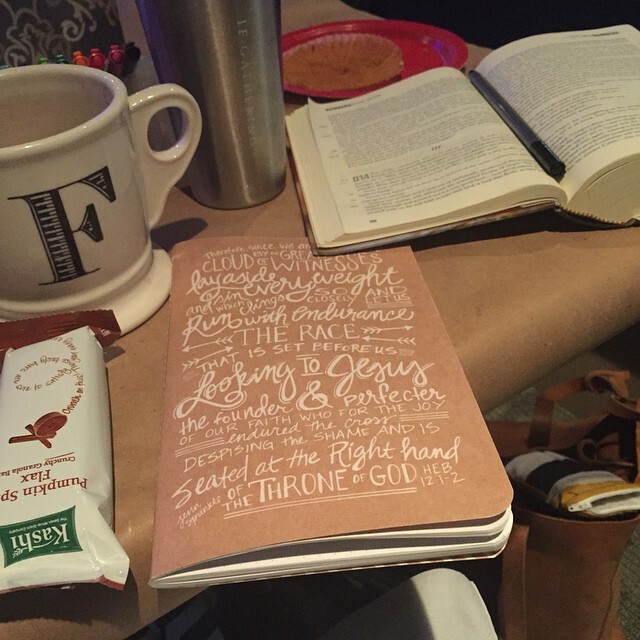 The last session brought us to our knees and allowed us to think about our next step of faith. Shannon had rocks in glass jars at the front of our space and we each took one and thought about how we would mark this day. What would be our statement of faith? What could happen if we believe? What could happen for our community if we believed? This was not the question I was to answer. No Faith–what could happen for YOU if YOU believed. I absolutely love Shauna and her mom Lynne. Her words were soothing ointment to my weary soul. God is calling me back to the rich simplicity of being me. The one He so delicately and carefully created. My “devout life” is cozying up in His word and camping out for a while. I want to be confident in God alone. I don’t want anything of my hands to get in the way of what God is doing in me or in others. Yes, Faith without works is dead. But complete reliance on works is paralyzing. 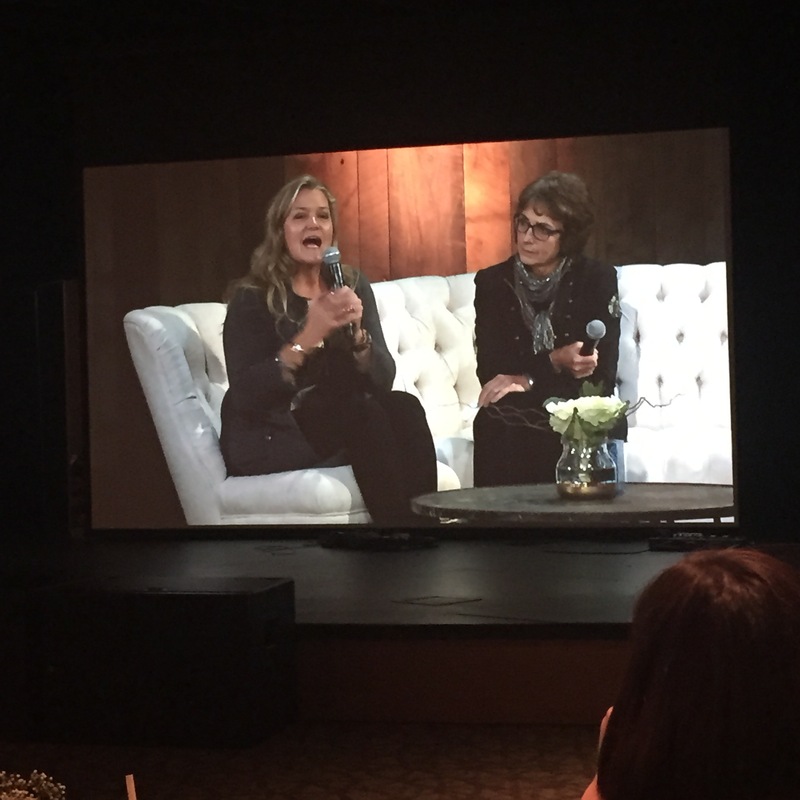 I want the women who came to our Gathering to walk away astounded and drawn to God for no other reason but that they feel the yearning to believe. A piece of my gifting of hospitality is grounded in the ability to create environments and spaces that are welcoming and allow for people to be their true selves. I believe that is one reason I was so drawn to what the the IF: Gathering is about. 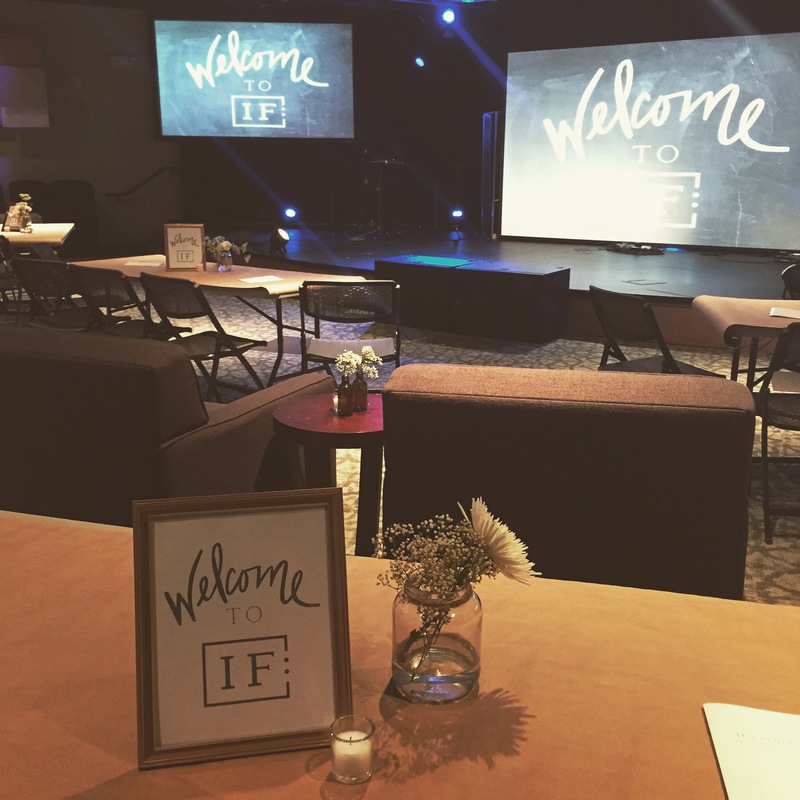 IF: Equip, IF: Table and the gathering itself creates an environment. And while creating these environments might be apart of the work I am to do in my own place and in my own home, no amount of creating can substitute for the tug of the Holy Spirit on one’s heart. So with that, the day after the gathering ended, my sabbatical commenced. No more creating. No more doing. No more facilitating conversation in the Facebook group. Resting. Believing. Listening. Getting cozy in the word. Responding with scripture rather than frustration or fear or hurt. 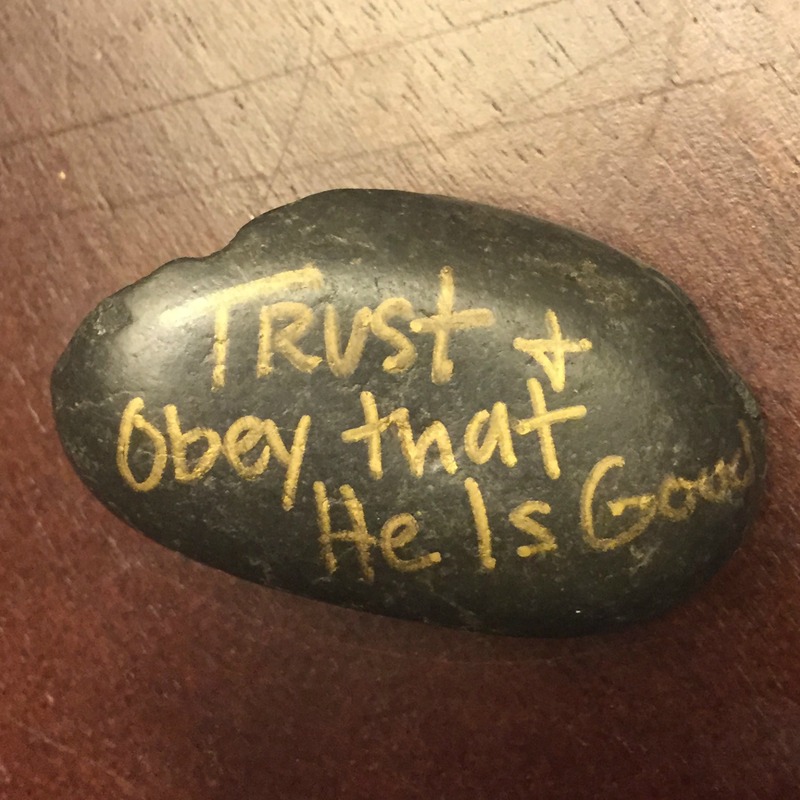 Trust and Obey that the Lord is Good. Love this, Faith! Thanks for sharing your journey of faith, and your gift of hospitality!